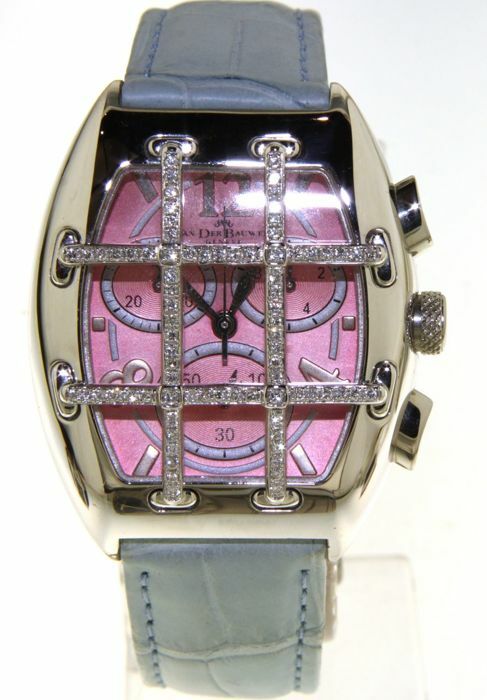 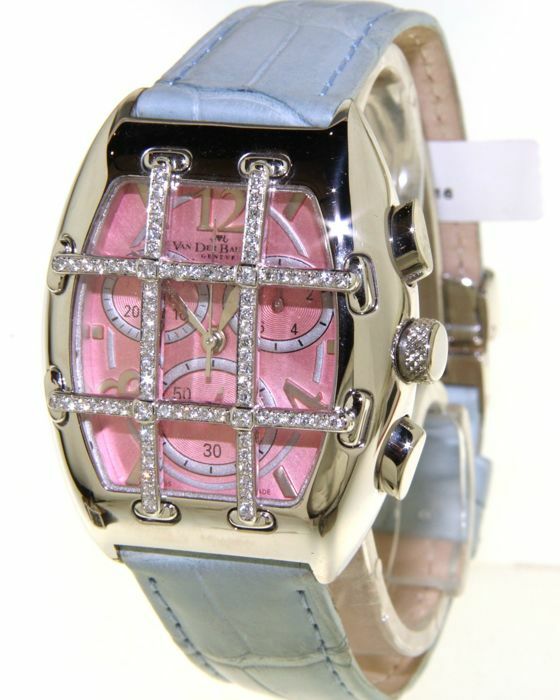 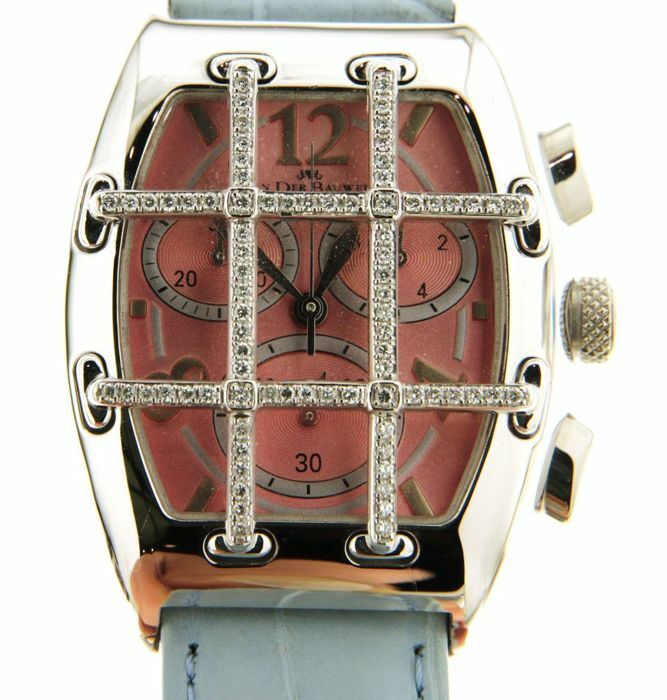 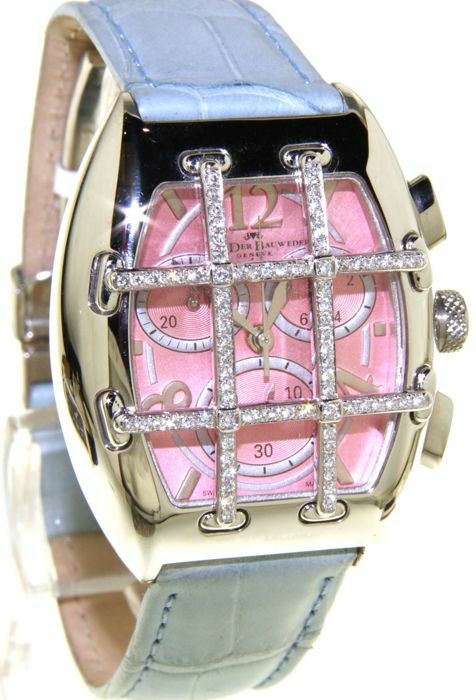 Very nice watch unworn , beautiful ladies Van Der Bauwede watch with diamonds !!! 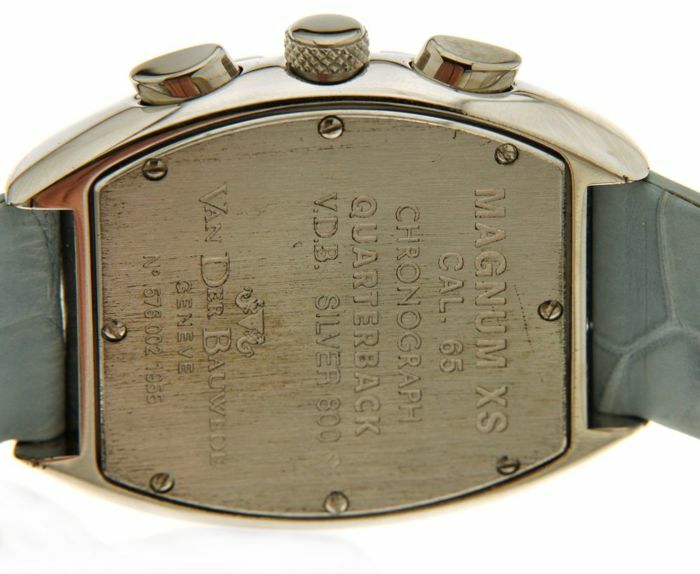 Case: solid silver case 800 VDB, palladium-coated and rhodium plated; domed sapphire crystal, Case-back engraved ; Water resistant to 30 meters, set with diamonds. 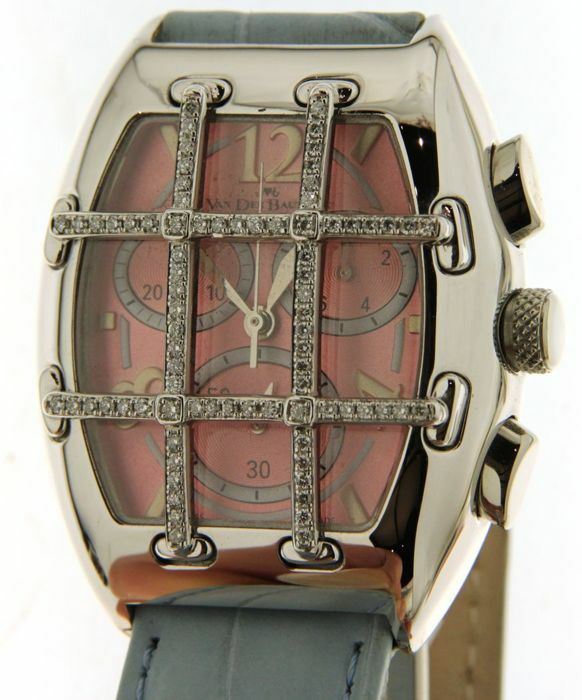 Functions : hours, minutes, subsidiary second; date; chronograph.